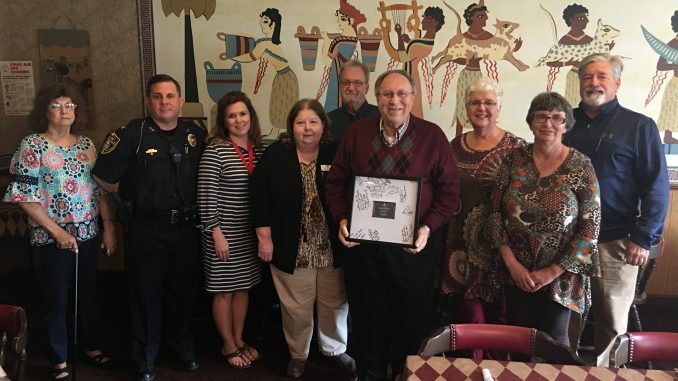 The executive board of the Cedartown United Fund honored their long time treasurer at a luncheon at Petro’s Wednesday afternoon. Johnny Barrett was surprised when he arrived at Petro’s as he was presented with a signed shadow box plaque commemorating 37 years of service to the United Fund. Barrett, a former Cedartown City Commissioner, announced his retirement from the executive committee recently. Pictured is the executive board of Cedartown United Fund.